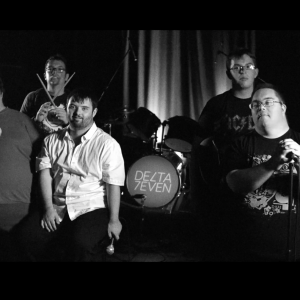 Delta 7 is a seven-piece rock band from Eastbourne made up of learning-disabled members. 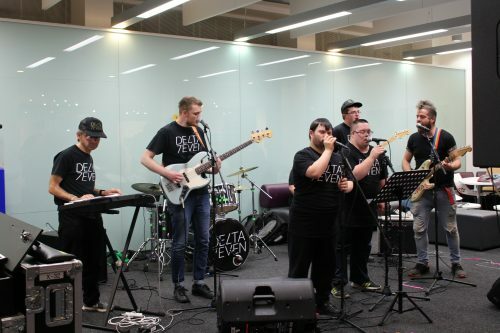 On 12 March the band kicked off the Oxford Human Rights Festival at Oxford Brookes University. Following the gig, two of the band members, Mikey Reynolds and David Campin plus Julia Roberts from Culture Shift (which oversees the band) caught up with Joe Turnbull. 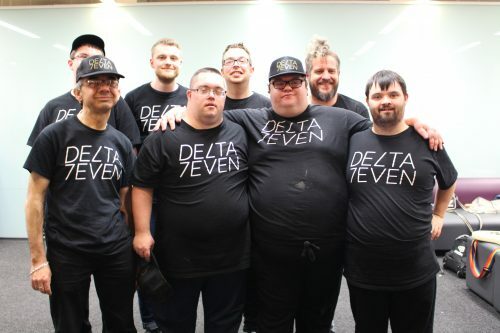 Delta 7 is a band which seems to be really going places. And I don’t just mean up the M25 from Eastbourne to Oxford. In fact, headlining the Oxford Human Rights Festival is just one of their recent achievements. In 2016, a short film made about the band entitled ‘We Rise’ won the Picturehouse Members Film Competition, meaning it was shown before every full-length feature at all Picturehouse cinemas across the country. Last year, they organised a crowdfunding campaign which smashed its target by 1548%! Delta 7 had something of a tragedy befall them recently. Tom Salway who mentored members of the band and helped to establish it, sadly passed away last year.